Aneia's probiotic is well researched and has been shown to help promoting digestive health within the following health conditions: Diarrhoea, infant colic, constipation, and regurgitation. 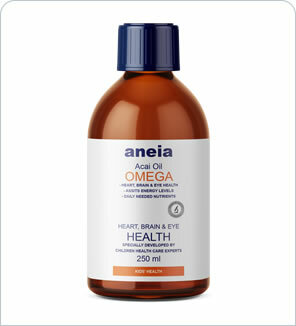 Supply of essential amino acids, high dietary fiber which aids in digestion, provides antioxidants to counter free radicals, and supplies essential fatty acids that are good for brain and eyesight development. Prepare yourself for conceiving and becoming pregnant. 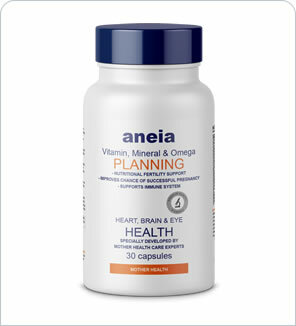 This supplement is designed to help you conceive and build the foundation for a healthy pregnancy. Multivitamin, mineral and omega supplement that has been specially formulated to help meet the increased nutritional needs of women who are pregnant. A common feeling of nausea, that can result in vomiting, often experienced in the early stages of pregnancy. This supplement has been specially formulated for pregnant women to help relieve these symptoms. After pregnancy your body will go through various changes. Mother's Breastfeeding covers your nutritional supply while you are producing milk for your little one. 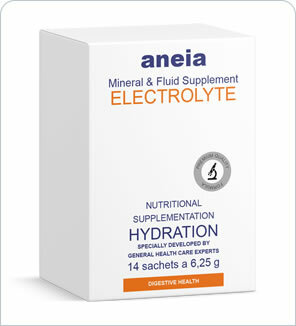 Mineral mixture for the rapid balancing of mineral and liquid losses during diarrhea. It is suitable for infants, children and adults alike.